White Wolf : Were the First Artists Mostly Women? Were the First Artists Mostly Women? 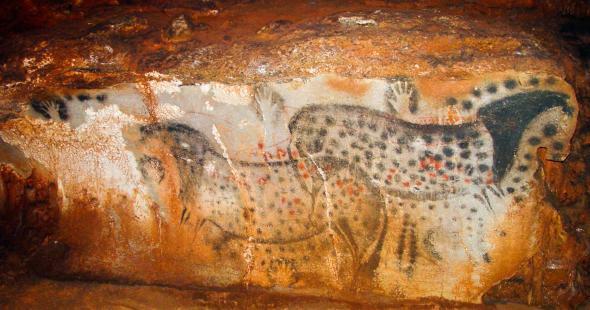 Handprints in ancient cave art most often belonged to women, overturning the dogma that the earliest artists were all men. Women made most of the oldest-known cave art paintings, suggests a new analysis of ancient handprints. Most scholars had assumed these ancient artists were predominantly men, so the finding overturns decades of archaeological dogma. 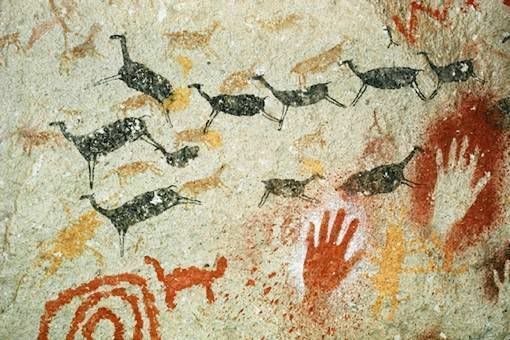 Archaeologists have found hundreds of hand stencils on cave walls across the world. Because many of these early paintings also showcase game animals—bison, reindeer, horses, woolly mammoths—many researchers have proposed that they were made by male hunters, perhaps to chronicle their kills or as some kind of "hunting magic" to improve success of an upcoming hunt. The new study suggests otherwise. "In most hunter-gatherer societies, it's men that do the killing. But it's often the women who haul the meat back to camp, and women are as concerned with the productivity of the hunt as the men are," Snow said. "It wasn't just a bunch of guys out there chasing bison around." Snow's study began more than a decade ago when he came across the work of John Manning, a British biologist who had found that men and women differ in the relative lengths of their fingers: Women tend to have ring and index fingers of about the same length, whereas men's ring fingers tend to be longer than their index fingers. Responses to "Were the First Artists Mostly Women?"